A few months ago we wrote about an exciting shift in political momentum away from mass incarceration when President Obama commuted the drug sentences for eight individuals in federal prison. In 2014, it seems that Congress and the Federal Government are going one step further – by offering their support for reentry and for people returning to society. This support could not come soon enough. For decades, the number of people in federal and California prisons and jails has swelled, as people in power have focused on passing tougher sentencing laws. Today, one in every 31 adults is under some form of correctional control. Now, as part of what the New York Times described as “the first major reforms to America’s broken criminal justice system in a generation,” Congress is considering a bipartisan bill aimed at stemming the tide of incarceration by helping more prisoners make the transition back into society. 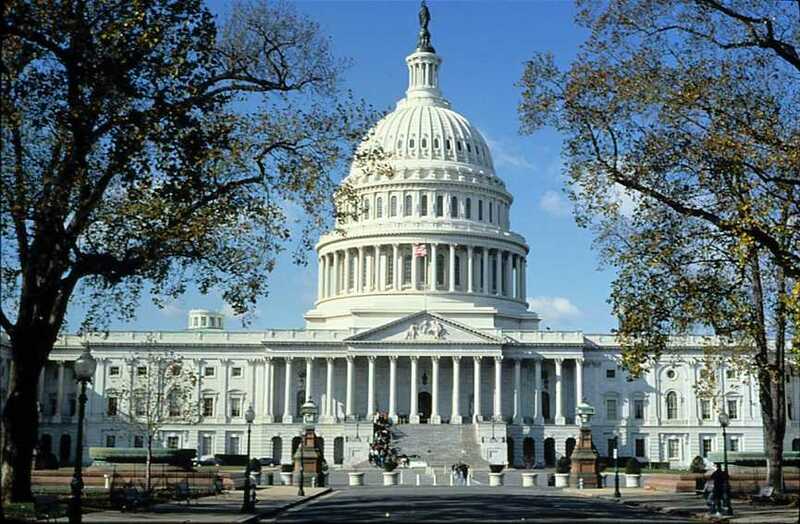 The Recidivism Reduction and Public Safety Act highlights Congress’ newfound enthusiasm for the reentry process. As a non-profit focused on ensuring that people successfully transition from prison to community life, we at Root & Rebound are delighted by the bill’s focus on reentry. On this blog we have often discussed the need to view reentry as a long-term process – one that must start on day one of an individual‘s incarceration. The bill goes some way in acknowledging this need. It would allow low-risk prisoners to earn credit for early release by participating in education, job training and drug treatment programs. For many people in prison, this training and support could make the difference between returning to prison and successful reentry into society. In another exciting development, Attorney General Eric Holder announced this week that the Bureau of Prisons will impose new requirements on halfway houses that serve people in reentry. The new reforms include standardized treatment for people with mental health and substance abuse issues, as well as new permission for cell phone use, and transportation, so that people living in halfway houses can seek out job opportunities more easily. This reform acknowledges returning citizens are first and foremost human beings with material, social, and emotional needs – not only the need for employment and healthcare, but also the need to communicate freely with their loved ones. Both The Recidivism Reduction and Public Safety Act and the Bureau of Prisons’ new requirements on Federal Halfway Houses reinforce the Federal Government’s commitment to helping people who are in prison transition back into society, which is heartening to witness. These important reforms mark an exciting time in our nation’s history as we turn away from draconian sentencing laws to a much-needed focus on rehabilitation. They go some way in addressing the big question – As over 95% of people in prison will be released, what processes can we put in place to ensure their successful reentry? As reentry takes center stage in our political dialogue on criminal justice, join Root & Rebound in supporting these reforms and addressing the challenges of reentry in our local community! Reentry legal services change lives. paying for all the court costs and fees associated with their clients’ cases for dismissal. Record Clearance Project 3/18/14 from John Kane on Vimeo. As noted in the video, a judge can dismiss an eligible person’s criminal record “in the interests of justice.” This is a broad standard giving the judge a lot of discretion. This is exactly the type of situation where a lawyer and legal advocates are extremely important! If the judge has discretionary power, advocates can counsel their clients to tell their own story in the most impactful way possible and help advocate for a second chance with the client. This video highlights the importance doing THIS WORK! And the importance of LEGAL ADVOCACY in reentry! It shows how reducing barriers in reentry, by providing legal services like expungements, changes lives and creates opportunities that otherwise wouldn’t exist. People who need reentry legal services have no legal right to an attorney, and there is no money for these services. Having nonprofit lawyers and volunteers engaged means that more and more people can overcome barriers in reentry and access opportunities to create the lives they dream and work hard for. Thanks, SJSU Record Clearance Project and the people interviewed for this project, for sharing your work and incredible stories! As Raemisch wrote, American prisons have “become a dumping ground for the mentally ill”—and this is exaggerated in solitary confinement. Craig Haney, a psychologist at the University of California, Santa Cruz, has been studying isolated prisoners and estimates that about one-third are “mentally ill, and a disproportionate number are minorities, partly because alleged gang membership is grounds for placing a prisoner in solitary indefinitely.” His work, discussed in Smithsonian Magazine, is part of a building movement to research the effects of solitary confinement and understand the science behind isolating people for long stretches of time. Activism to eliminate solitary confinement continues to swell. The ACLU, the Center for Constitutional Rights, and other nonprofits are leading campaigns to end the practice and create public awareness about the serious damaging effects of segregating and isolating people in prison. In our home state of California, prisoners organized hunger strikes in 2011 and 2013 to protest the inhumane conditions and long-term solitary confinement of people (some sent there indefinitely!) in the Security Housing Unit (“SHU”) at Pelican Bay State Prison and others around CA. You can read more on the Prisoner Hunger Strike Solidarity blog and learn more about the organizations supporting their efforts here. These organizing efforts combined with voices of reformers from within corrections, like Raemisch, are helping to increase public awareness about how solitary confinement is abusive to people in prison and can have dire implications when an isolated person is then released back into the community. Raemisch wrote that in Colorado, “in 2012, 140 people were released into the public from Ad Seg [solitary confinement]; last year, 70; [and] so far in 2014, two.” When people under these circumstances are returned to their communities, they are often psychologically and physically more ill and abused than when they first entered prison. In the field of reentry, this creates a huge barrier for people to reconnect with the outside world. As a reentry advocacy center, Root & Rebound feels passionately that the way people are treated inside has direct consequences for their ability to rebuild and rejoin the community on the outside, and we hope to see an end to the abuse and overuse of solitary confinement. If you would like to continue to follow this issue and urge our government officials to speak out against solitary confinement, we suggest signing the ACLU’s petition and following the CA movement’s Prisoner Hunger Strike Solidarity’s Take Action! page. We applaud Mr. Raemisch of Colorado for speaking out on this issue and also see that there is a long road ahead to reduce abuse against incarcerated people in the U.S.
* For a response to Mr. Raemisch’s op-ed, see The Atlantic‘s article, “Colorado’s Prison Director Spent 20 Hours in Solitary—but That’s Not Enough,” urging the release of two individuals currently held in solitary confinement in Colorado’s prisons. Root & Rebound is growing! Today we wanted to give you a sneak peak into Root & Rebound—and our vision for where we are headed! R & R has been working hard to build a strong foundation. We spent the Fall meeting with over 70 practitioners, formerly incarcerated advocates, and academics to understand the landscape of reentry services and needs. Based off those interviews, we are developing a report on best practices and gaps in reentry services that we plan to publish and make available online in the next few months! R & R has also been working with a consultant on strategic planning, development, and with our graphic designer to develop a great website to showcase Root & Rebound’s work and the resilient and motivated people we serve. We are very excited about the website we are creating, and believe that technology and Internet are great resources for sharing information and knowledge about reentry with the wider public. Direct legal services with social services support—developing an integrated system for collecting client information that will track indicators for success and outcomes; providing legal counsel, advice & information to a small number of pilot clients. Public education & legal trainings—producing an educational “Know Your Legal Rights in California Reentry” manual to be shared with community-based organizations, government agencies & prisons and jails; teaching reentry legal rights to partner organizations and clients going through the reentry process. 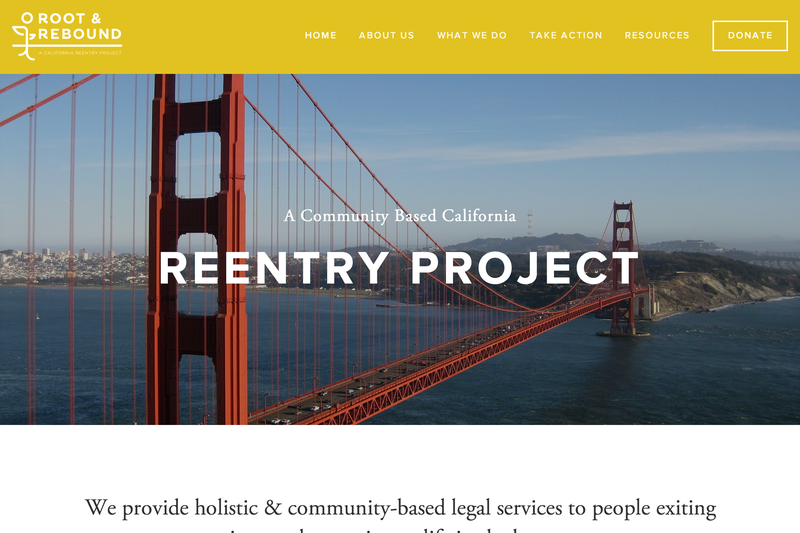 Reentry Resource Development—developing a database and guide for formerly incarcerated people of community-based organizations and government agencies serving returning citizens in the Bay Area and their eligibility requirements. High-impact advocacy through policy reform and litigation—joining local and national reentry consortiums; supporting policies and petitions that will improve the lives and opportunities for reentering citizens. Support changes in state and local policy informed by our direct services work. Thank you for being part of this journey. We could not do it alone. We value your commitment to supporting returning citizens and to the many people who have encouraged Root & Rebound’s innovation and growth in reentry. Exciting things ahead! Today we want to share information about two affordable housing projects for Bay Area women. Please share these opportunities with Bay Area women looking for transitional housing. (1) Berkeley Food and Housing Project, Transitional Housing is accepting applications from women only. It is a year and eighteen month living skills program. Applicants must be homeless or in imminent danger of losing housing, with either psychiatric disabilities or HUD qualified disabilities. Women may apply if they are homeless on the street, in emergency shelter, are staying with friends short term and have no lease, are in a recovery program and have no place to return to after graduating and/or are coming from another transitional housing situation. TO APPLY: Click here for more details and how to apply: Berkeley Food and Housing Project Transitional Housing.pdf. (2) Building Futures with Women and Children is accepting applications for its housing lottery for housing at the Alameda Point Collaborative (transitional housing with 2 bedroom and 1 bedroom units). These units are for women and children only. Applicants must be homeless at time of application and, if living in a shelter or in transitional housing, must bring a homeless verification from an agency or shelter, head of household. Income must be less than 50% of area median income. To apply IN PERSON (recommended): You can go in from 9:30 am – 4pm at the Alameda Point Collaborative: 677 West Ranger Avenue, Alameda, CA, 94501. In-person apps will be accepted NO LATER than Friday, March 14, 2014. To apply BY MAIL: Call 510-749-0301 ext. 222. to have an application sent to you. Mail-in apps will be accepted only if postmarked NO LATER than Friday, March 21, 2014. We want to update you on two crucial policy reform efforts, spearheaded by some our amazing partners in the community, for which we’ve signed on as wholehearted supporters. We encourage you to join as cosponsors as well. AB 1756 (“Starting Over Strong” — Skinner, co-sponsored by All Of Us Or None and East Bay Community Law Center) would make the record-sealing process more accessible for one of California’s most vulnerable populations: low-income youth. By eliminating the fee — up to $150 — for people under age 26 seeking to seal their records, this proposal removes barriers that prevent motivated youth from improving their lives. Juvenile records can appear on background checks, leading to unfair denials of employment or housing. High fees can make it impossible for low-income youth to remedy their records and move forward from their mistakes, depriving them of a second chance at rebuilding their lives with stable employment and safe housing. AB 1756 would help restore this second chance. SB 1029 (CalWORKs, CalFresh expansion — Hancock, co-sponsored by Western Center on Law and Poverty and County Welfare Directors Association) would make it easier for county probation departments and human service agencies to improve life prospects for the most vulnerable families they serve. California imposes a lifetime ban on CalWORKs and CalFresh aid for people with a prior drug-related felony conviction. For otherwise-eligible people currently subject to this ban, SB 1029 would allow them to access basic needs assistance, job training, and work support through these programs — as long as they have complied with their conditions of release, or completed their probation or parole. This would be a vital step toward helping reentering citizens get back on their feet — while reducing hunger, improving financial stability, and protecting child wellbeing among many struggling families. Today we wanted to share a wonderful resource put together by the East Bay Community Law Center’s Clean Slate Practice. It is a map showing reentry legal services, mainly in the form of expungement clinics, across the state, divided by county. For anyone looking for a chance to expunge their record, or learn about whether they are eligible for expungement, we recommend that you check out the map to view what legal services are near you or in your county. We also wanted to highlight an upcoming legal clinics happening in the Bay Area. Legal clinics are a one-day event where legal organizations (usually through a group of attorneys and volunteers) see a large number of people who have questions about their record, expungement, and other issues in reentry. If you have legal questions pertaining to your legal rights in reentry, we encourage you to go to one of these upcoming clinics! WHERE: West Bay Community Center, 1290 Fillmore Street (next door to Mo’MAGIC). Please see our recent post on upcoming legal clinics in Santa Clara County. Please feel free to share these resources with your networks! Yesterday, we attended a conference on Reentry Legal Services, put on by the The Administrative Office of the Courts (AOC) and the Legal Aid Association of California (LAAC), as part of the 2014 Family Law and Self-Help Conference. One of the topics discussed in a breakout session was “Fines, Fees, and Restitution,” and how these payments hamper our clients for their entire lives. Coincidentally, when I got home last night, I found that a friend had posted this article to Facebook—The Cruel Poverty of Monetary Sanctions by Alexes Harris, part of the Sociology Department at the University of Washington. This article does a great job of laying out the issues that poor people face after being convicted of a crime and having sanctions imposed. When a person is convicted of a crime, sanctions and fees are imposed for things like court processing, defense attorneys, paper work, and anything else associated with his or her incarceration and supervision. For low-income and poor people who cannot pay these fines, the interest, surcharges and collection charges build up over time. And though a convicted person may serve time in prison or jail, complete community service, or participate in alternative sentencing programs, if they cannot pay the fines, fees, and restitution ordered by the court as part of their penalty, their sentence is considered incomplete and they remain under judicial supervision, subject to court summons, warrants, and even jail stays. In essence, they are never free because of their poverty and debt. Harris has researched the growth, process, and impact of legal financial obligations. She explains that, while fines have always been imposed in the American criminal justice system, starting in the early 1990s, states began changing laws to dramatically expand the number and types of fees and surcharges they could impose. In 2004 in Washington State, the average monetary felony sentence (not including restitution for victims) totaled just under $1,400—an enormous sum for many desperately poor clients in the criminal justice system. The initial amount also accumulates dramatically: 12% interest begins accruing from the day of sentencing, and a $100 annual collection surcharge is added to unpaid balances per felony conviction. Why does the issue of debt for fines, fees, and restitution matter in reentry? Because they keep people locked out of society. As discussed, criminal courts view unpaid debt as equivalent to an incomplete sentence—to time not yet served. People who come out of prison and jail, ready to restart their lives, often discover that fines and fees they didn’t even know about have been running against them for their ENTIRE period of incarceration—a time when they had no job or living wage. But those unpaid court debts and interest were adding up, and, upon release, people realize they owe tens of thousands of dollars to the state, with no ability to pay. Because the courts consider monetary sanctions to be equivalent to court sentences, the person has “not completed” their time. Therefore, no matter how rehabilitated, if they are poor and unable to pay, they cannot receive certificates of discharge, seal their records, receive pardons, or request deferred prosecution—legal mechanisms meant to allow those who have completed their sentences to move past their felony conviction to become productive citizens. These tools are essential for applying for a job, renting or purchasing a home, and applying for credit, since employers, landlords, and lenders frequently search applicants’ credit and legal backgrounds. Legal debt effectively derails prospects for success after conviction and in reentry. It is an issue we are just starting to explore as we work with clients in reentry, and a startling wake up call to all of us who don’t fully understand how poverty is criminalized in America, and how those with the least means continue to be pushed to the margins of our society, out of the legal job market and out of safe housing. Is a wealthy man any more innocent, any more deserving of rehabilitation and a second chance than a poor one? No. I think we can all agree that the amount of money in someone’s wallet shouldn’t dictate whether they are able to get a second chance after serving their time.